The U Got Brains Champion Schools Program is an opportunity for students and staff of New Jersey high schools to develop campaigns to address teen driving safety. 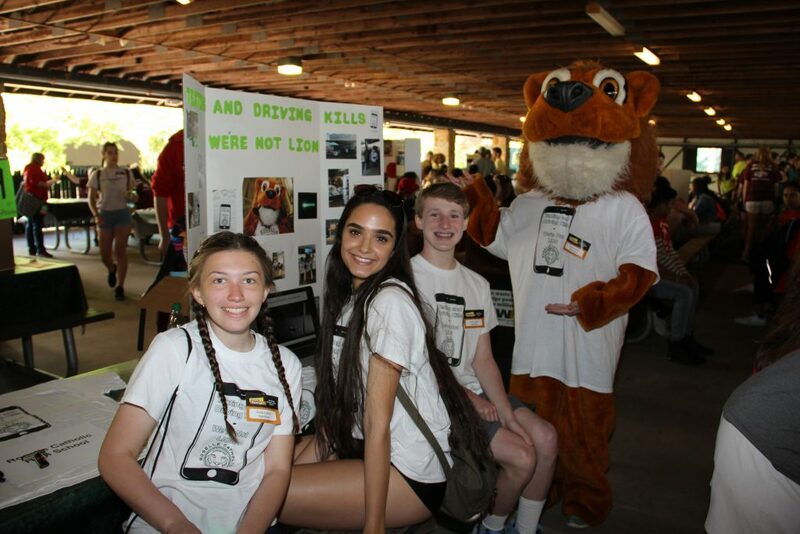 Each school develops its own project based on a topic pertaining to teen driving safety. Participating schools receive a cash stipend and technical support to assist with their campaigns, and advisors receive professional development hours. This program is presented by The Brain Injury Alliance of New Jersey. Funding is provided by The New Jersey Division of Highway Traffic Safety with support from founding sponsor NJM Insurance Group. Questions? Contact us or call 732-745-0200. Watch this video to learn more about the Champion Schools Program! This video was created by the Lenape Regional High School District. Want to Work with a Professional Film Crew? Need Some Inspiration? Check Out the 2017-18 Winning Schools! St. Joseph High School in Metuchen is a 7th year school and first-time grand prize winner. Their campaign, “The Final Ride”, addressed the issues of driving under the influence and worked extensively with community partners to implement their program. They modeled after the “Every 11 Minutes” program, which depicts the lives lost through impaired driving by identifying how many students lose their lives in these crashes. Students organized the filming of the video, working with their community and they live streamed the event for parents and others who could not watch in person. Additionally, they were featured on News 12 and in their local papers. Their campaign concluded with a trial and subsequent sentencing of the impaired driving student and testimonials from students and parents discussing the great impact of the program. 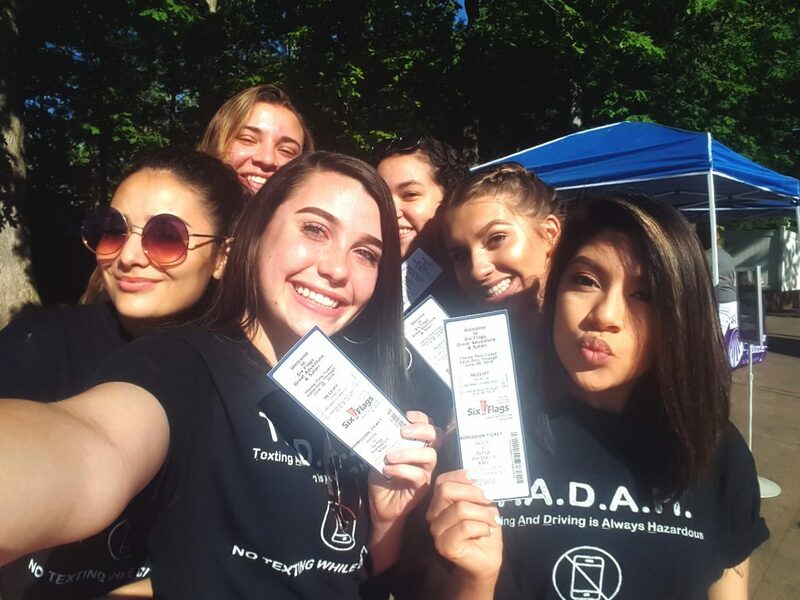 Through their involvement in the Champion Schools Program, St. Joseph’s High School developed a SADD chapter to help sustain the driving safety messages they have developed over the years. Buena Regional High School is a 5th year Champion School located in Atlantic County. Their goal was to target as many people as possible to spread the safe driving messages of staying focused as a driver, passenger and pedestrian and to educate young drivers about the importance of complying with the GDL laws. This year’s project, “Shift into Focus”, built upon previous campaigns and added new ideas to reach more people, including elementary students. Some of their many community-wide activities included spreading their safety messages to over 2,000 athletes at track & field relays, and attendees at Buena Pride Day, participating in the Hero Walk, coordinating a Save-A-Life Expo at school, teaching pedestrian safety lessons to elementary students, hosting a Share the Keys Program, attending a Youth Safe Driving Summit at Stockton University, conducting a safe driving door decorating contest and speaking to their student athletes about a GDL Game Plan. They received a Joint Legislative commendation for their efforts. John P. Stevens High School is a 1st year Champion School located in Edison, NJ. 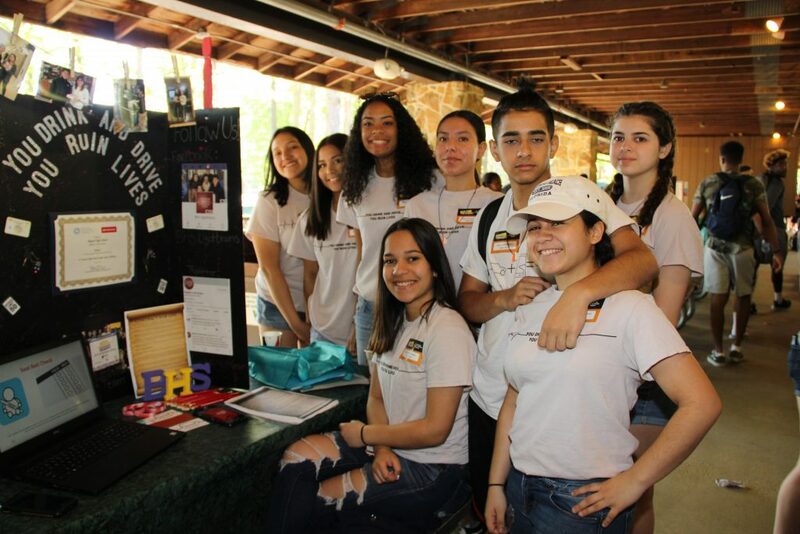 Students there wanted to make a difference in their school and community by keeping Awareness about Distractive Driving front and center throughout their high school years. Their Better Left Unread than Dead campaign included professional speakers, a public awareness poster project, and a survey to collect data about students’ driving habits. The students also emphasized driving safety during prom season. Members of the sophomore class adopted seniors to remind them to be safe on the road. The sophomores hand-delivered letters to their adopted seniors, as well as sent them social media reminders to avoid distractions while driving. The JP Stevens students hope that their driving safety message goes beyond graduation and has a lifelong impact on their classmates. Choose a teen driving safety topic and use different tools to spread your message. Submit an application with details about your campaign by November 15, 2018. A panel of judges will review the campaigns. Winners will receive a driving simulator for their school! Use the following links to learn more about the Champion Schools Program and your roles and responsibilities as a participating school. Promoting your project is vital to spreading the word about your campaign and increasing its impact. Review the Media Tip Sheet and use the Sample Press Release to send to local and state newspapers for an article about your project. Also, please remember that each participating student and faculty member must have a signed Photo and Video Release Form. Teams will be required to bring their signed release forms with them at the Awards Showcase. Sponsors Logos – please add the logos on this page to any materials you create as a way to thank our sponsors. Use the information in your campaigns and/or share these infographics on social media sites. In order to enhance the U Got Brains Champion Schools Program, we will implement an evaluation component developed by the Children’s Hospital of Philadelphia’s (CHOP) Research Institute. Schools will be asked to participate in this online evaluation at the end of the program. The Champion Schools Program has been evaluated by the Children’s Hospital of Philadelphia Research Institute and has proved to not only increase awareness and education about safe driving, but most importantly, change driving behavior. As a result of the program, teens reported seeing their peers engaging in safer driving behaviors, felt greater social pressure from their friends to drive and ride safely (i.e., their perceptions of what they believe their friends wanted them to do), and they perceived a more positive driving safety culture at their school. Teens reported engaging in safer driving behaviors (e.g., Riding and Driving Focused) as a result of their school’s participation in the U Got Brain’s Champion Schools Program. Overall engagement with the program was strong; most schools had student teams that met at least five (5) or more times, according to advisors. When the school’s program “clicked,” students were engaged and had fun, and key stakeholders (school administration, community, students, and the advisors) found the experience to be very gratifying and successful. 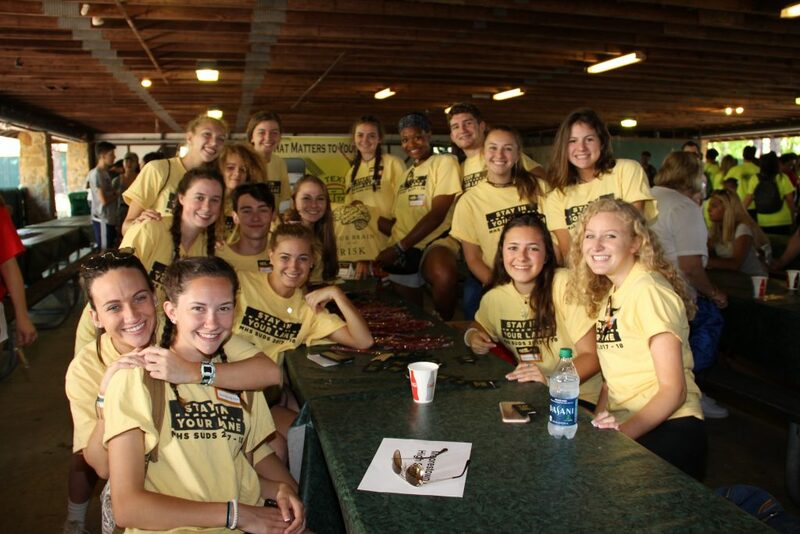 Overall, advisors were very pleased with their advising experience and noted several strengths of the program including the overall impact (i.e., the extent to which awareness of teen driver safety increased in the school) and the importance of the message. Receiving increased knowledge and positive feedback from other students and the community. 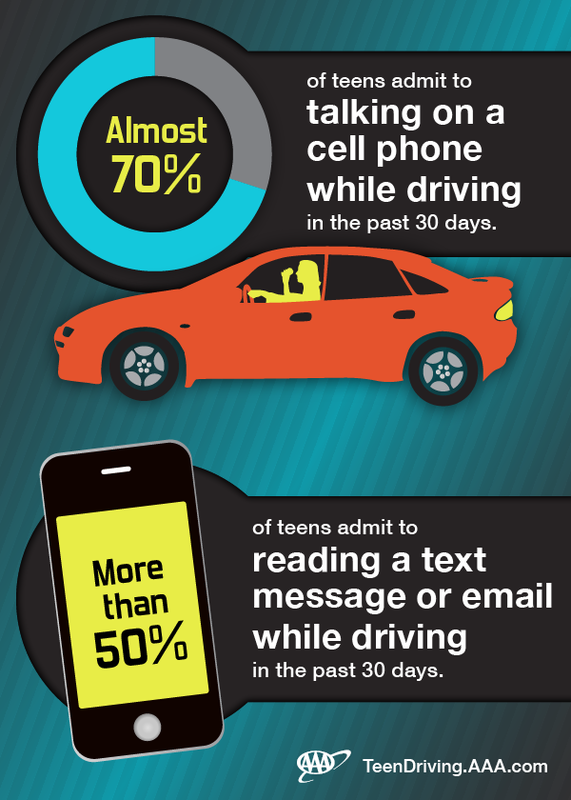 Students reported engaging in safer driving and riding behaviors. This effect was driven by positive changes in the peer culture around safe driving in their school. Students reported a stronger school culture related to safe driving. As we move forward with this program to help reduce driving injuries and fatalities among teens in New Jersey, we will continue to work on improvements. The U Got Brains Champions School Program would not be possible without the generous support of our sponsors. In addition to a grant provided by the New Jersey Division of Highway Traffic Safety, we have partnered with other organizations that share our commitment to keeping new drivers safe on the roadways. Sponsorship opportunities are available for our 2018-2019 U Got Brains Champion Schools Program. Don’t miss your chance to be a part of this innovative program. Preparing to get your driver’s license?